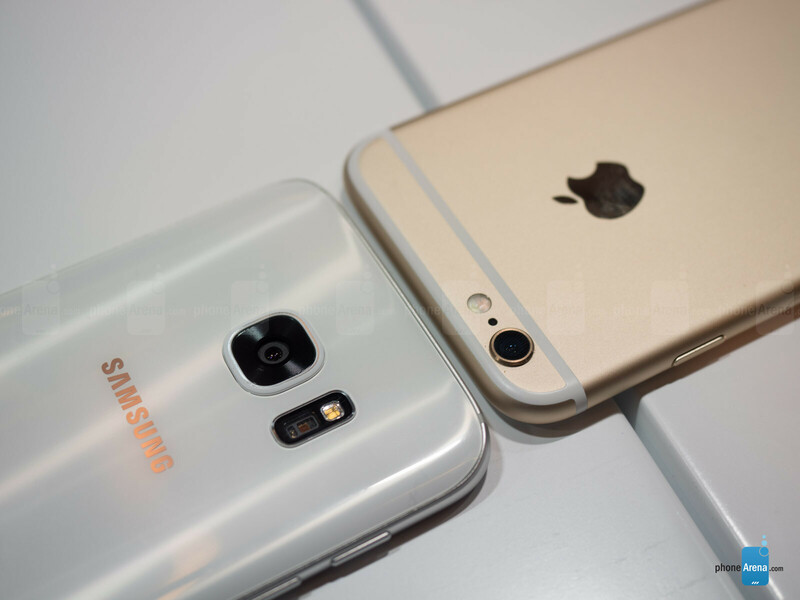 Across the vast smartphone universe, no forces are stronger than the iPhone and the Galaxy S series. They've been competing for dominance throughout the industry for several years now, and the race is bound to grow more intense than ever. That's because Samsung just brought a fearsome weapon to the battlefield – the new and improved Samsung Galaxy S7. Long story short, it is shaping up as a top-notch smartphone, but could it be better than, let's say, an iPhone 6s? 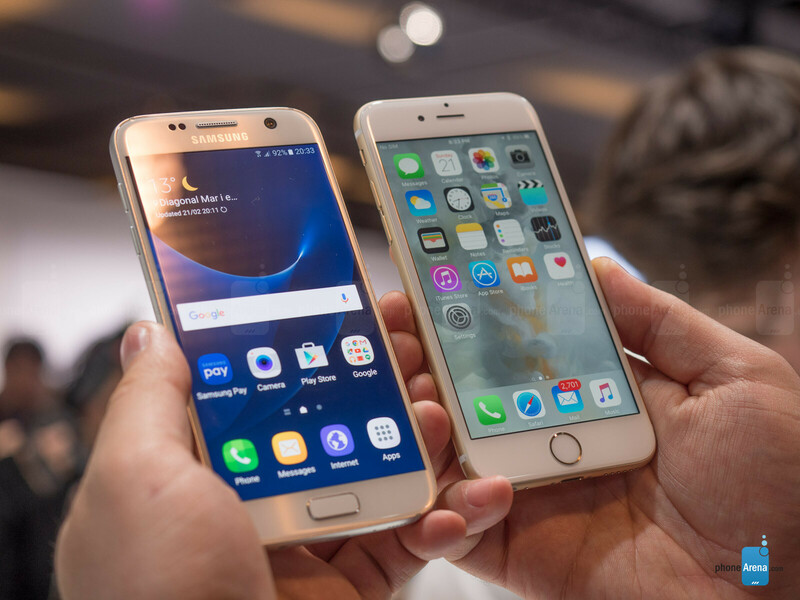 Looking at the Samsung Galaxy S7 and the iPhone 6s side by side, it is not easy to pick a favorite. Both please the eye with their appearance, and they do it in their own, very distinct way. Samsung's new flagship, in particular, scores solid points with its glass and metal construction. Sure, it hasn't changed much compared to its predecessor, but why change a look that people are actually fond of? The instantly recognizable iPhone 6s, on the other hand, is the slimmer and lighter of the two, and arguably the more refined with its stylish and practical design. Besides, its metal-made back doesn't get covered in fingerprints as the S7's glass plate does. One of the Galaxy S7's key advantages over the iPhone 6s is its dust- and water-resistant design. You should be able to safely use it under the rain or in the shower, and accidental spills should not do it any harm. In contrast, the iPhone 6s does not like being submerged underwater. Rumor has it that the iPhone 7 might be water resistant, but the iPhone 6s is definitely not. 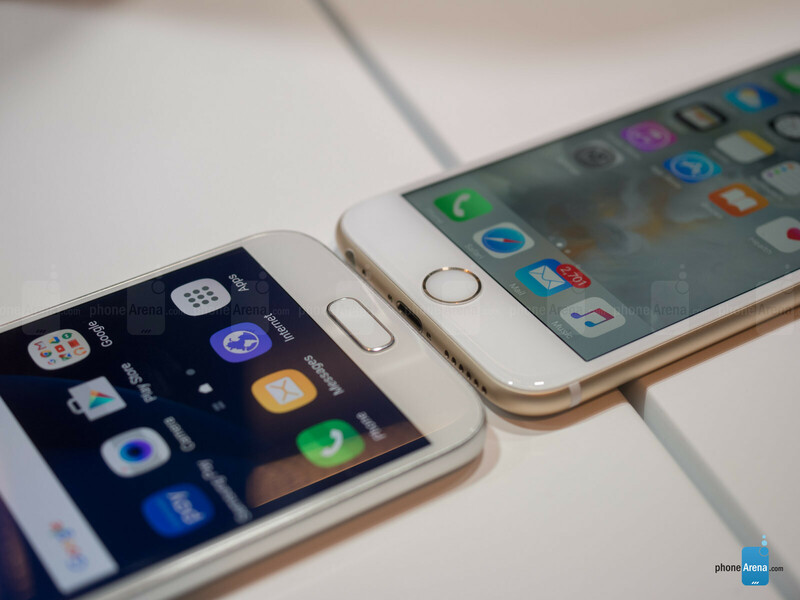 Both the Galaxy S7 and iPhone 6s have 360-degree fingerprint readers embedded in their physical home buttons. Both are on the same level when it comes to reliability, it seems, although further testing will confirm if that's really the case. What the Galaxy S7 lacks, however, is a dedicated mute switch. The iPhone 6s has one, as has been the case with all iPhones before it, and it is a neat, practical feature. The 5.1-inch Super AMOLED display gracing the Galaxy S7's front draws attention from afar with its vivid, saturated colors. And the higher pixel count – 1440 x 2560 vs 750 x 1336 pixels for the iPhone – lets it display images in much greater detail. The difference in resolution is actually slight to the naked eye, but it is definitely there. Not to be forgotten is the Always On Display feature, which allows the Galaxy S7 to show basic info at all times – the current time and date, the number of missed calls and unread texts you have, for instance. All of this is delivered with minimal impact on battery life, or so we're told. While not unique by any means, the feature is definitely nice having. Even though it is smaller and with less pixels to offer, the display on the iPhone 6s is pleasing to the eye. And it has one clever trick up its sleeve, namely its 3D Touch functionality, which allows the screen to detect various levels of physical pressure. This is used to enable new ways of interaction with the user interface – to peek into messages, to preview live photos, to access menus and modes within apps straight from the home screen by simply applying a little push on the screen. Neat! Samsung is known for throwing tons of features into its smartphone UIs, and the Galaxy S7 follows the trend. Pretty much all of the features we knew from the Galaxy S6 have made their way into the new model – from the side-by-side multitasking and the Flipboard-powered news feed to the built-in support for themes and S Health, along with its health and fitness tracking abilities. But even with all of this in stock, the Galaxy S7 we got to handle ran smoothly most of the time, which is good news, of course. One software trick making the Galaxy S7 stand out is its built-in set of gaming tools. Gamers can record videos of their gaming sessions, limit notifications shown while playing, disable buttons when certain games are running, and more. Then there's the support for the Vulkan API, which should allow supported games to run faster and look better, although we have a feeling that it will be up to the developers to make that happen. Apple tends to strive for sense and simplicity when designing its products, and that applies to the iPhone UI experience as well. iOS 9.x running on the iPhone 6s is clean, streamlined, and easy to get the hang of. Sure, there are no fancy shmancy gaming tools at your disposal, and there's no side-by-side multitasking, but there's also nothing getting in the way of a smooth user experience. In other words, less could be more, and iOS proves it. Besides, it serves as a gateway to a rich, quality-driven library of games and applications. The processors ticking inside the Galaxy S7 and iPhone 6s are two very different beasts, so comparing them solely by listing specs side by side would be pointless. What you do need to know, on the other hand, is that both chips – the Snapdragon 820/Exynos 8890 and the Apple A9 – are powerful and efficient. And we doubt that either of the two phones would have troubles running the latest apps and games. With 4GB of RAM, the Galaxy S7 should excel when it comes to multitasking, but we'll try to confirm that in the coming days with further testing on the show floor. In any case, the iPhone 6s handles multitasking like a boss despite having less RAM to work with. There are 32GB of storage inside the Galaxy S7, and if you do need extra gigs, you may throw in a MicroSD card of up to 200GB. The iPhone 6s does not support expandable storage, but it comes with 16, 64, or 128 gigs on board. The advantage of the Galaxy S7's approach is that microSD cards are inexpensive per gigabyte. However, iPhone 6s' on-board storage delivers faster speeds compared to a traditional MicroSD card, despite being a more expensive solution. On paper, the 12MP camera on the Galaxy S7 is looking superior to the iPhone's 12MP one, despite the identical resolution. Samsung's flagship sports wider aperture (F/1.7 vs F2.2) and larger pixels (1.4-micron vs 1.22-micron) which could translate to greater performance in low light. In addition, the Galaxy S7 has optical image stabilization, its camera interface is richer in features, and the new Dual Pixel focusing system should be blazing fast, especially in dark environments. But that's all theory. We had the chance to do a quick comparison between the two phones' cameras, and we'd say they're both in the same ballpark when it comes to quality. When shooting in not-so-good lighting conditions, however, the Galaxy S7 seems to have the upper hand, delivering slightly more detail and better colors in shady areas. We'll do some further testing as soon as we get the chance to see if we're right to say that. And on the software side of things, we must give credit to Apple for developing a lightning-fast, easy-to-use camera application. Speed and simplicity are its strongest sides, and that's one of the reasons why millions of people use an iPhone as their primary camera device. On the other hand, Samsung has walked the extra mile to add manual controls to its camera app – not something average users would care about, but a valuable asset to photography enthusiasts. The Samsung Galaxy S7 has "high-end" written all over it. It looks attractive and feels nice in the hand, it is equipped with a top-of-the-line SoC, its comes with a very promising camera, and holds a bigger, crisper display while being of the same physical caliber. Plus, it is water-resistant, it supports expandable storage, and it has a larger battery – all features that fans of the series have been asking for. 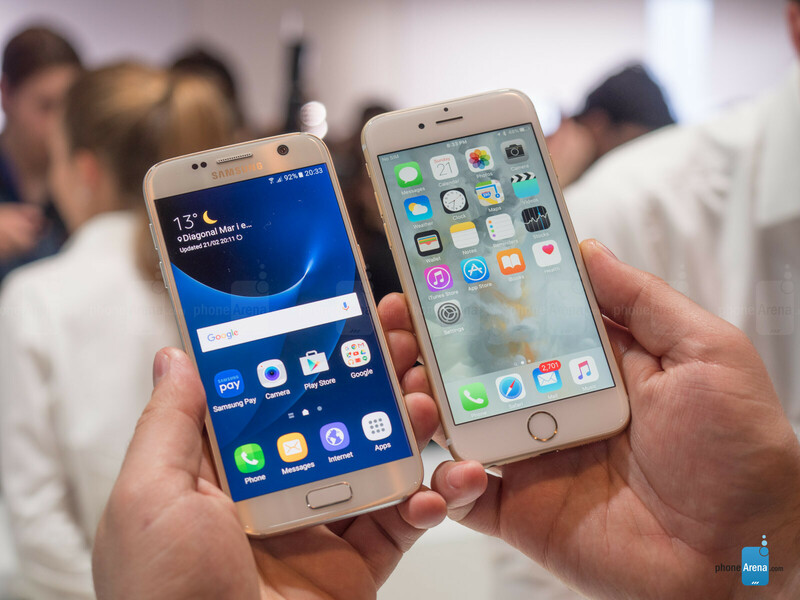 Is the Galaxy S7 better than an iPhone 6s, however? Well, it could turn out to be superior in more than a few ways. We're expecting the new Galaxy flagship to deliver at least slightly better image quality with its main camera, with the accent being on "expecting" as camera specs don't always coincide with real-life results. Furthermore, the improved, 3000mAh battery should not disappoint with its longevity, even though there are other factors affecting a phone's battery life. On the other hand, the iPhone 6s has the benefit of iOS – a platform proven to be reliable, practical, rich in software, even fun to use. And as a whole, we wouldn't call the iPhone 6s any less good-looking or pleasant to handle than its rival. Still, having spent some time with the Galaxy S7, we see it as a serious contender and a worthy alternative to the iPhone 6s. And as we said in the beginning, the battle between the two forces could be about to grow more intense than ever. 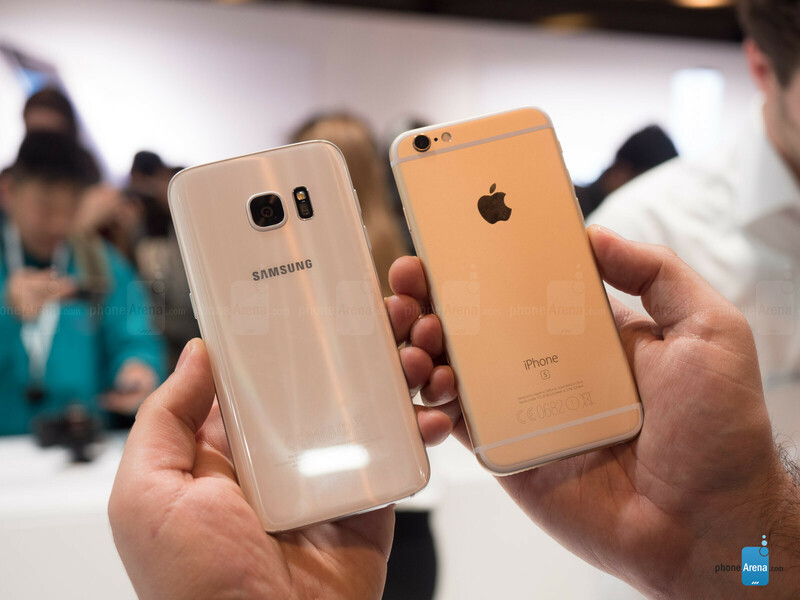 But unlike Apple, Samsung already had the best technology available in 2015 put into their flagships. I don't see what Samsung could've done more this year with S7, like apart from the glass back, and the lack of dual tone led flash, I don't see anything that the S7 is missing. the only thing that I dont like is the heart rate sensor and flash ubication bcuz the phone will look ugly when u put a case on it, below the camera like in the s5 looks beautiful. Xenon flash and optical zoom is missing. Oh and PA, how does the iPhone 6s has the mkre refined design? You mean the fantastic and gorgeous thick bezels? Or the mesmerizing antenna bands? For your sake I'd start liking what you don't. Next thing Samesung will copy is Apples design. Calling a company names shows how mature yku are..... NOT. In case you're still living with mama, the whole "NOT!" joke happened 13 years ago. Get with the times man baby. Don't worry. S7 will get a 6.0 rating. It was a shot aimed at PA recent reviews and their low ratings they are giving to whatever non Apple product that gets released. 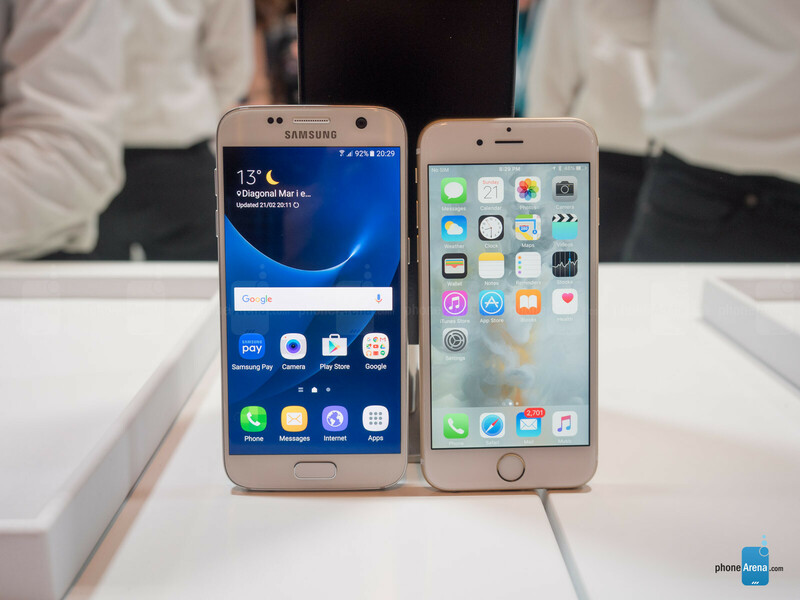 Hmmm, this is a comparison between the Galaxy S7 vs the iPhone 6s. The iPhone 6s doesn't have any of those things and it also has a low resolution display with no OIS. BTW the Galaxy S7 has expandable storage. I was joking about the storage. It seems like that's all people care about from Samsung. It has expandable storage. And you know what, type C is a disadvantage, not an advantage currently. That being said, S7 is bad: I was expecting a better camera and got this crap. Screen is the same too. No SSD inside. Same UFS storage. Also, iPhone 6s has none of these features you mentioned and still got a 9.3. What a Pure hypocrites. Money talks. A disgrace that Apple wasn't there. And they still praise Apple. Arguably mire refined a a stylish? Are you guys kidding?? Same with the resolution there is a huge difference between 720p and 1r40p. Yes and no. On such a small screen, 720 P on the 6s doesn't look anywhere near as bad as it sounds on paper. There is a noticeable difference in clarity, but it is way overblown by just about everybody in comment sections. 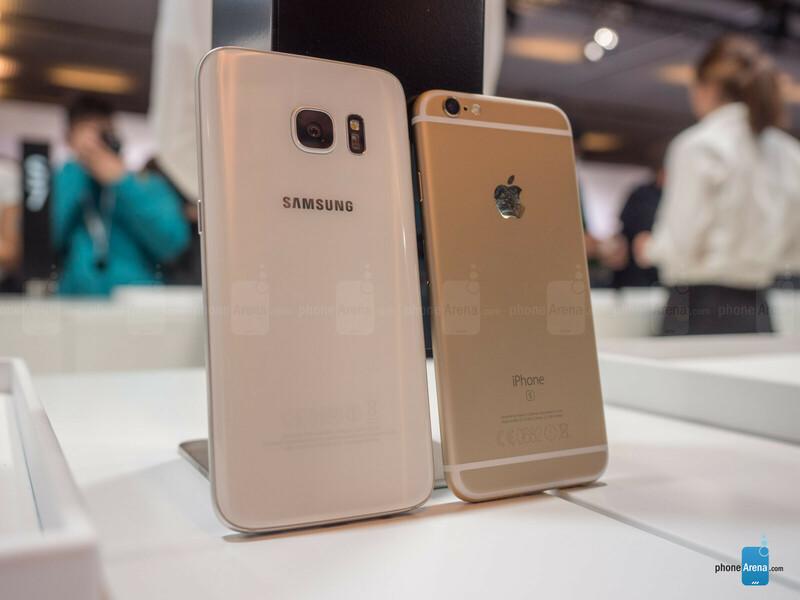 That being said, the S6 and by proxy the S7 has the most gorgeous screen I've ever seen. It really does. Pixelation is definitely noticeable especially when reading the web. I just can't go back to under 400ppi.